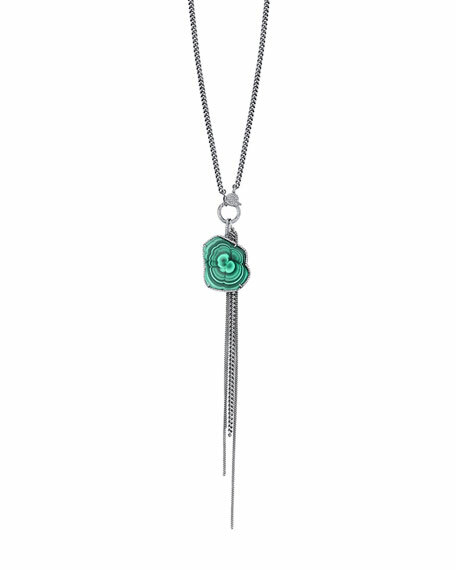 Sheryl Lowe Malachite Fringe Pendant Necklace, 38"
Sheryl LoweMalachite Fringe Pendant Necklace, 38"
Sheryl Lowe malachite fringe pendant necklace. Oxidized sterling silver chain and hardware. 1.71 total diamond carat weight. For in-store inquiries, use sku #2548689.